In response to Nicki’s accusations of Cardi’s airplay and publicity, an insider claimed that no one in Cardi’s team indulge in illegal behavior. Cardi B‘s representatives have denied Nicki Minaj‘s allegation that she paid for radio airplay. 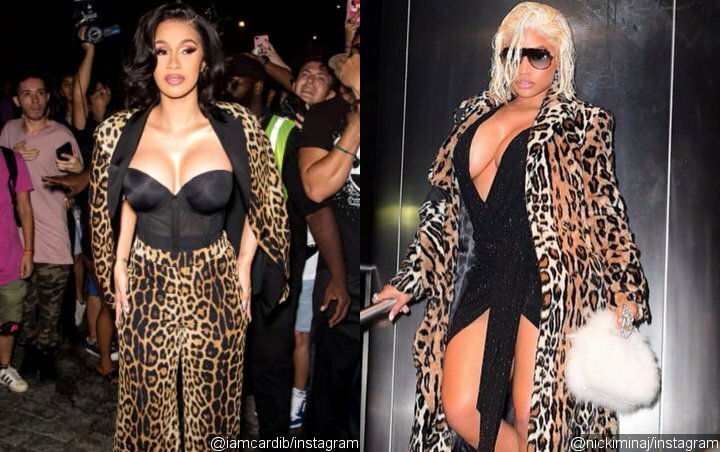 The hip-hop stars’ feud turned physical last week (end September 9) when Cardi “lunged” at Nicki at a Harper’s Bazaar New York Fashion Week event at The Plaza Hotel, before launching a shoe at her rap rival as she was ushered away. Responding to the incident on her Beats 1 Queen Radio show on Monday, Nicki upped the ante by accusing the “Bodak Yellow” hitmaker of using “payola” tactics – the illegal practice of paying for radio airplay and publicity – to further her career. According to The Blast, Cardi’s team have vigorously denied the “Anaconda” rapper’s claim, with a source close to her team saying the accusation is “absolutely false” and denied anyone was offered an inducement to plug her music. The gossip site reports that Cardi’s former manager Klenord Raphael, aka Shaft, did aggressively promote her before she rose to fame, but did not indulge in illegal behaviour. After the brawl, Cardi was seen being escorted from the event, wearing only one shoe while sporting a large bump on her forehead just above her eyebrow. Nicki has opted not to press charges. On Queen Radio, the 35-year-old continued her tirade and said her rival should get “some f****g help” as the fight occurred just two months after giving birth to her daughter Kulture. Cardi, 25, has accused Nicki of trying to wreck her career and of criticising her as a mother – an allegation Nicki has denied, calling the suggestion “clown s**t”.